For 4+ weeks in April/May I drank all Allagash beer including many beers that were 3+ years old. Rather than writing a complete review of each I am just going to do a brief overview of each. 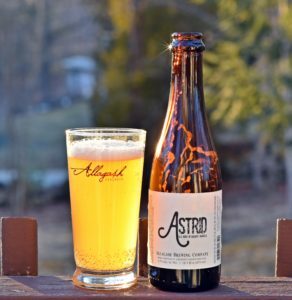 If you have never been to the brewery Allagash has one of the best brewery tours out there and if you ever get the opportunity to attend one of their events go. Their bottle releases, annual Street Fair and other events are always a great time. Many of these bottles are brewery only releases and several are described simply as “ale aged in oak barrels”. This one is specific in the type of barrels saying “ale aged in Aquavit barrels”. Aquavit is a Scandanavian spirit that I have never tried so not sure what it adds to the flavor but I did enjoy Astrid. A bit of funk in the nose, along with some apricot, lemon and oak from the barrels. Interesting combination of fruit, barrel and funk but I enjoyed it. 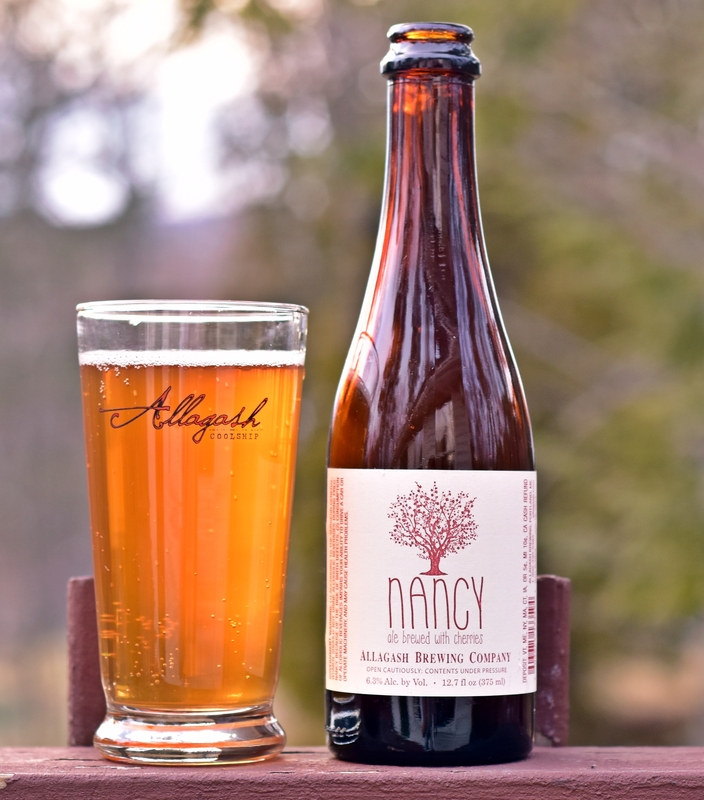 This was one of my favorites from the 30 days of Allagash. 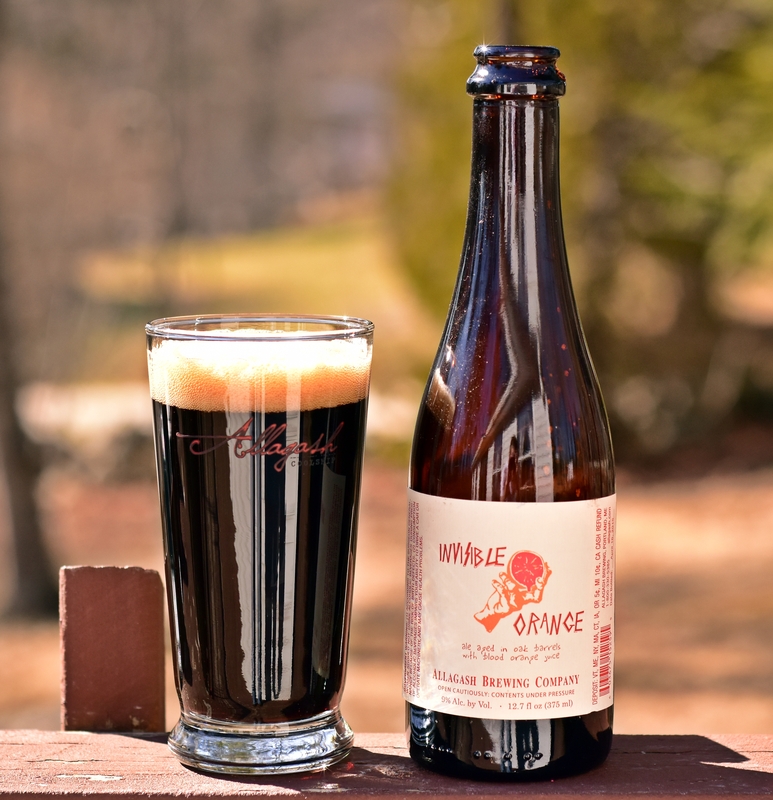 Avance is a barrel aged beer brewed with molasses and aged on strawberries. 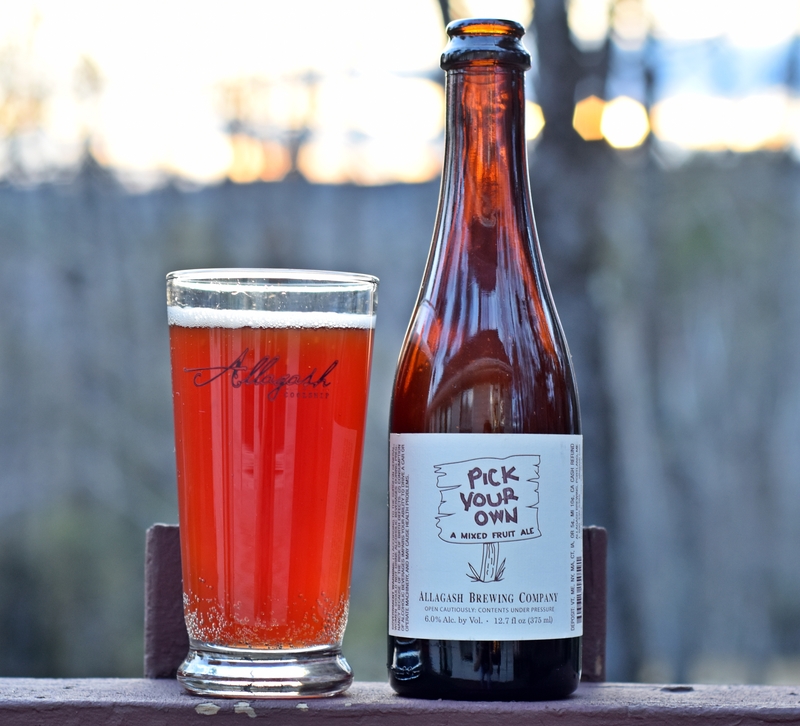 The combination of oak, bourbon, strawberries and just a bit of funk make this an exceptionally complex beer. Very light sour and little carbonation but it all works together for a very enjoyable beer. 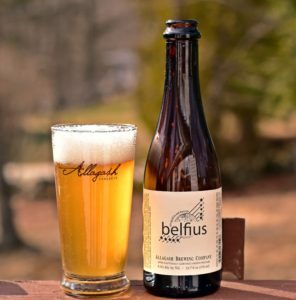 Belfius is a combination of Allagash’s Saison and coolship beers. I got some green apple and a bit of funk in the nose which follows through to the flavor. As it warmed the saison came through nicely. Enjoyable and more refreshing than some of the other beers in this list but overall just not quite as good as many as the others. 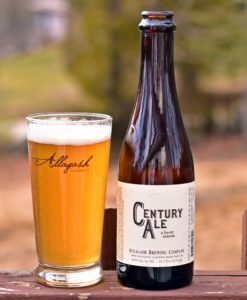 Century Ale is one of the few 375s that made it out to distribution and can still be found in some bottle shops. This is a straight up brett saison that is dry hopped before being packaged. Very good mix of fruity hops and dry bready funk from the brett. For whatever reason I was not expecting much from this beer and really enjoyed it. 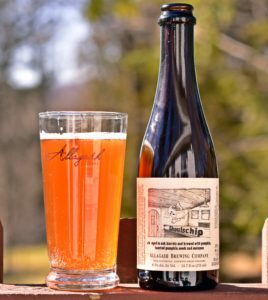 The Coolship series includes a number of beers that are spontaneously fermented in Allagash’s coolship. 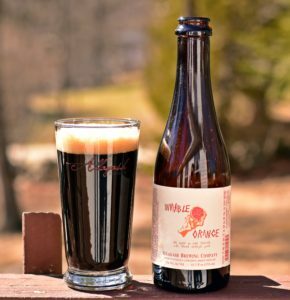 Cerise is aged on Maine grown cherries which gives it a lot of funky sourness. Cherries really come through but not in a cough medicine sweet way. Truly exceptional beer here and glad that I have a few more bottles kicking around the cellar. 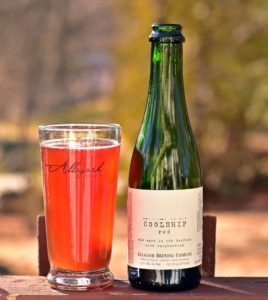 Similar to Coolship Cerise but this one is aged on raspberries. The raspberries come through strong in the aroma, color and flavor. 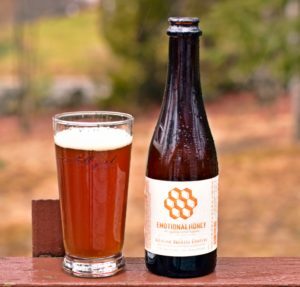 This combines very well with just a hint of funk and earthy aroma/flavor. Carbonation was active helping to give the beer a nice tart finish. 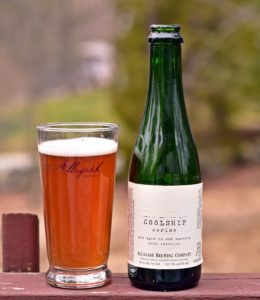 These Coolship beers are right up there with the best from Belgium. 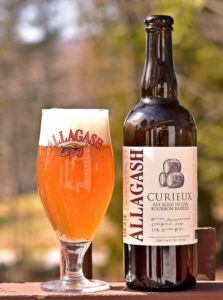 Not sure how I made it through 850+ beers without reviewing Allagash Curieux as this is truly one of the best bourbon barrel aged beers being produced. So many breweries take their biggest, baddest stout, throw it in some bourbon barrels to add some bourbon and oak and think it is the best thing ever. 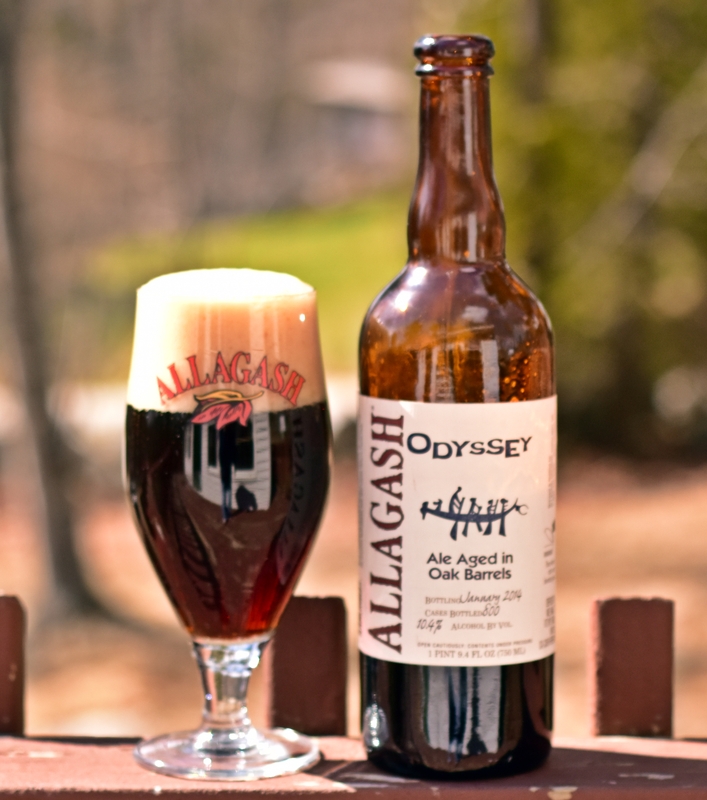 Allagash instead took their Triple and aged it in Jim Beam barrels. 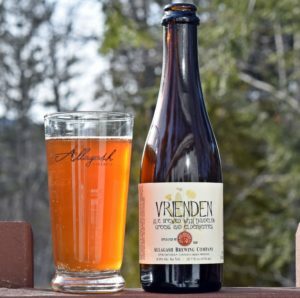 What you get is a very complex beer with plenty of vanilla from the oak, fruity flavors from the yeast and a bit of booze from the combination of a high ABV triple and the additional of bourbon barrels. So much happening in this beer than anyone could find something to enjoy in it. 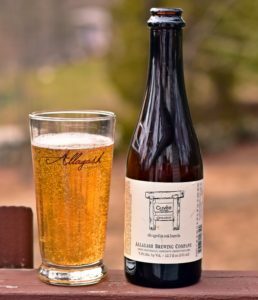 A blend of barrels from Allagash resulted in Cuvee d’Industrial. Such an interesting mix of aroma and flavor here with some oak, earthy funk, green apple, lemon zest. 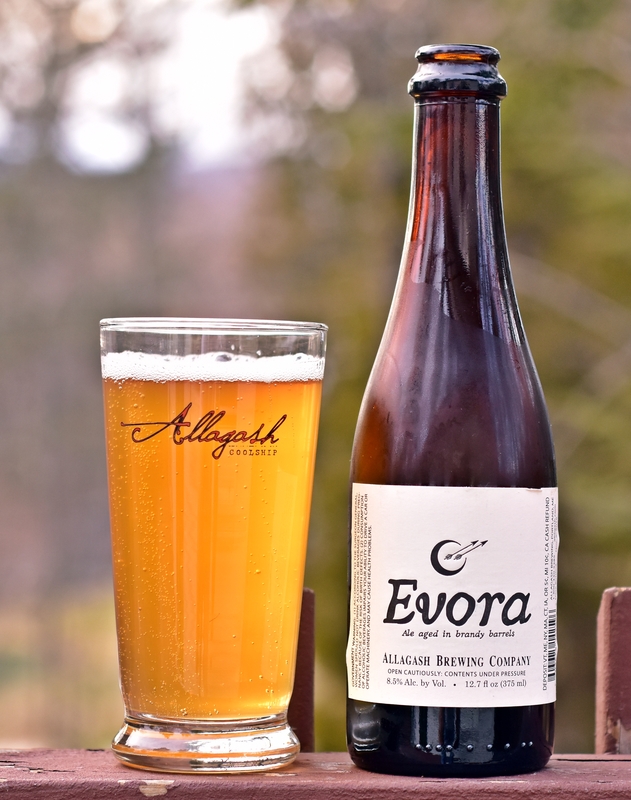 Not quite as funky and sour as the Coolship beers but you can tell this is an Allagash beer with the bright and complex flavors. This is the first beer of the 30 days that I could describe as malty which is interesting since this started as a sour red ale and then was aged in mead barrels. You would think this would impart a super sweet character into the beer, instead it gives it a super dry finish. Not a lot of sour with this one just a well crafted enjoyable beer. 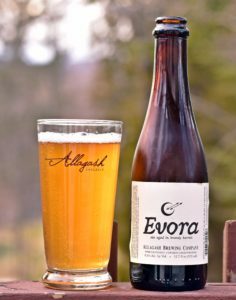 Evora is a brett beer aged on brandy barrels. Big Belgian yeast character with a fair amount of booze and barrel. 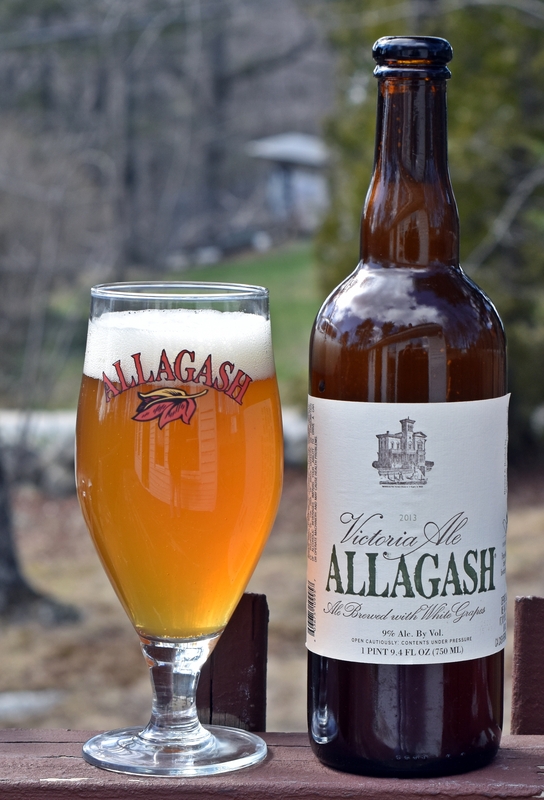 Not as complex as many of the other beers from Allagash but still enjoyable. Overall a little more booze than I enjoy and I am guessing if you like brandy than you would probably enjoy this beer but overall I was a little disappointed. This one I did not give a rating as it probably should not have sat for nearly three years before being enjoyed. This was truly the only beer of the 30+ days that I did not enjoy and it was most likely a combination of it being a dark beer and the age which I am sure did not help this beer any. This was likely the oldest bottle that I opened as this was from the 2011 release of Ghouschip. Not sure if it was the age but there was virtually no pumpkin flavor left which is entirely OK with me. Certainly some funk and a little caramel sweetness. Lots of complexity in this beer even with 4.5 years of age on it. I have a couple bottles of the 2014 version and it will be interesting to see how these compare with the 2011 variety. 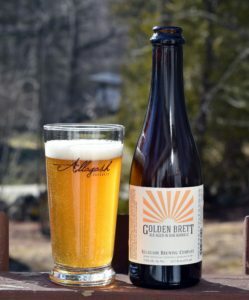 This is a great introduction to brett beers for those that have not tried them before. The beer itself has a nice touch of fruit with some apricot, green apple and a bit of grape almost wine like flavor. Taste is crisp, lightly tart, refreshing and won’t make you pucker up too much. 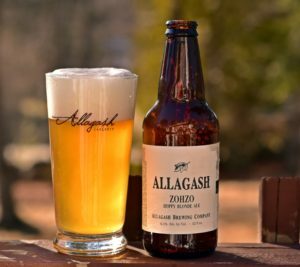 Super easy and clean finish, just a great beer overall and something that beer drinkers and non-beer drinkers could enjoy. 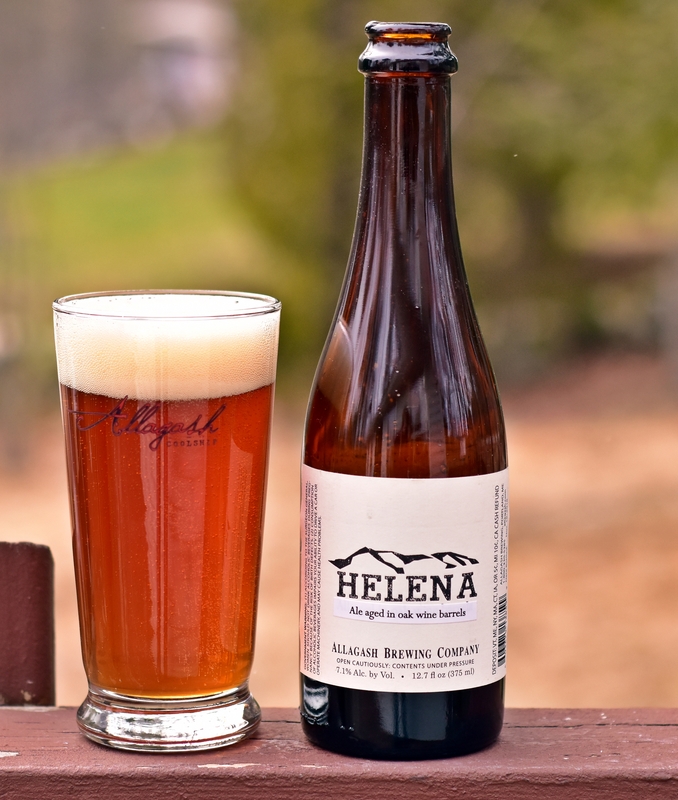 I love this style of beer as Allagash calls Helena a Flemish Red and when this style is done well it is great. 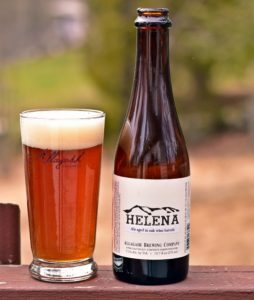 Fortunately Allagash does almost everything well and Helena does not disappoint. Big green apple tartness along with a bit of oak and a dry clean finish make this a great beer. Another beer that I have at least one more in the cellar and I am already looking forward to opening it. 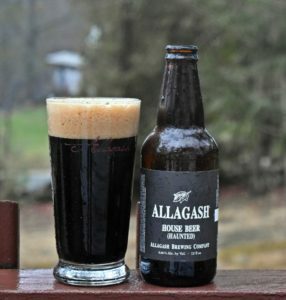 Allagash released a “haunted” version of their House Beer making it into a dark beer with an ABV of 6.66%. One of the many reasons I love Allagash is they don’t take things too seriously and are willing to do fun things like a “haunted” version of one of their beers. This was available in 4-packs at the brewery. Overall this is a nice beer but the coffee flavors were prevalent and I genuinely do not like coffee. Fun, easy drinking beer but not my style. The second beer of the 30+ days that I didn’t really enjoy and both were dark beers that included blood oranges. This one the description alone was enough to turn me off but I tried it and finished the 375 bottle. Belgian Style porter aged in French oak barrels using chocolate malts and blood orange pulp zest, who thought up of that combination. Maybe its your thing but it wasn’t mine. 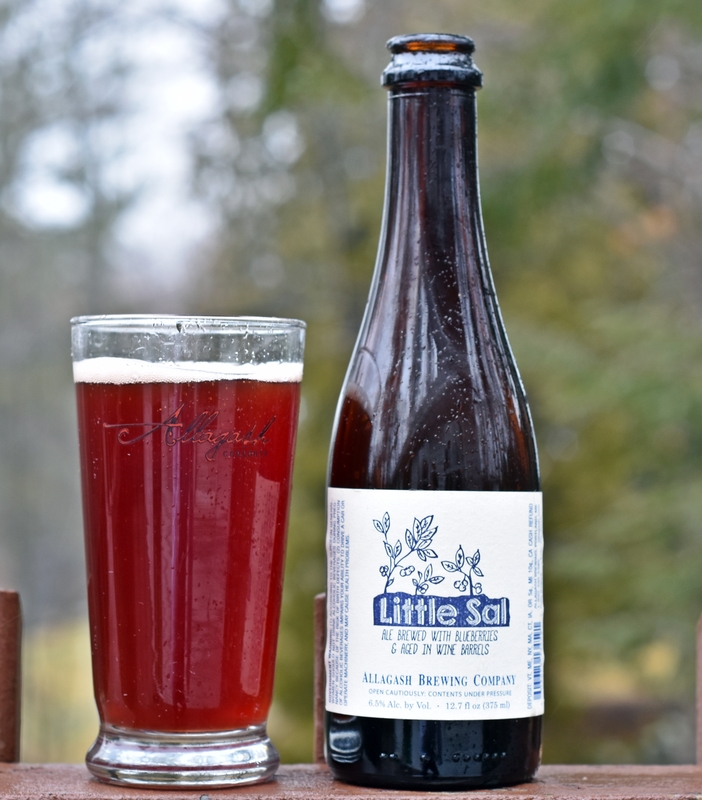 Little Sal uses a pound of Maine blueberries per gallon of beer and was aged in red wine barrels. 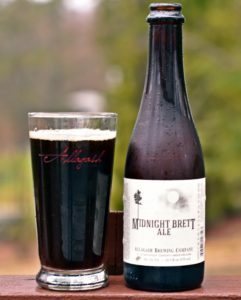 I love beer aged in wine barrels, much more so than bourbon or other spirit barrels and the addition of blueberries just put this one over the top. Only slightly tart with a bit of funk but overall the fruit, oak and wine character makes this beer a truly enjoyable experience. 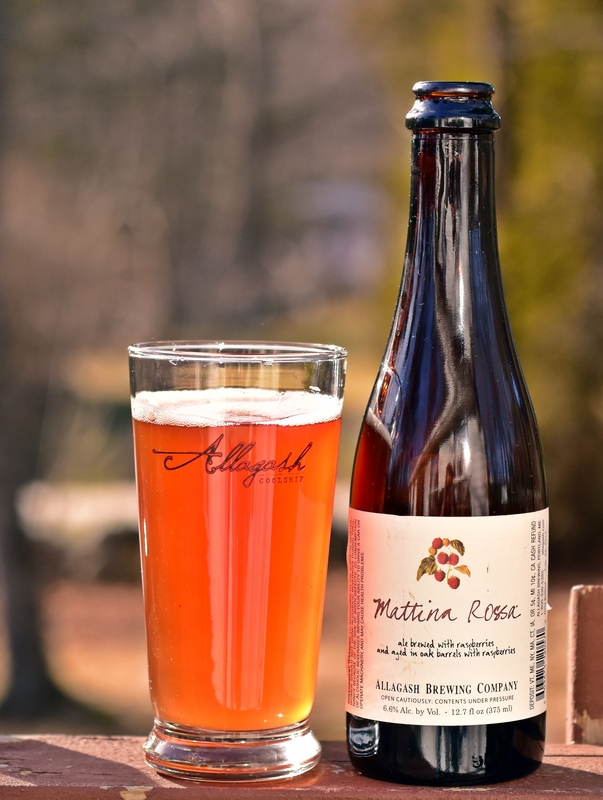 Another fruited beer from Allagash, this one with local raspberries. Aroma is big raspberries and funk. More tart than most of the others I have reviewed but in an enjoyable way. This one will make you pucker and your mouth water well after you have finished the last sip. 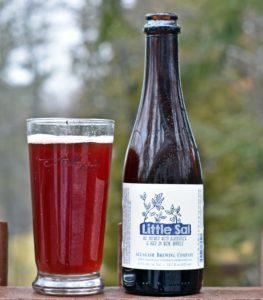 Just a really great beer and one that I have enjoyed several times at beer fests and glad they finally released bottles to the public last year so I could enjoy at home. Merveilleux is a blend of bourbon barrel and wine barrel aged beers that creates a very interesting and complex flavor profile. My initial thought was a straight up sour brown but as it warmed the complexity came out with some fig, cherry, oak, vanilla. 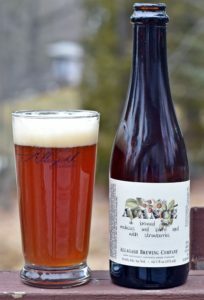 Such an interesting beer with just enough of a bite to let you know its a sour beer but allows the subtle flavors of the barrels come through. Similar to some of the other beers already reviewed but with an added roasted chocolate, coffee flavor from the dark malts. Generally any beer that has coffee flavors will not score well with me since I do not enjoy coffee and this is no different. Starts off similar to most Allagash beers with a tart slightly funky flavor but the finish is all roasted malts with some coffee. This was probably my second favorite beer of the 30 days with the only thing holding it back was a lack of aroma. Appearance was great and the flavor started with some brett funk and plenty of cherry flavor. As it warmed the cherry became the dominant flavor but in a sour tart kind of way not jammy sweet. Just a super beer that I could enjoy over and over again. 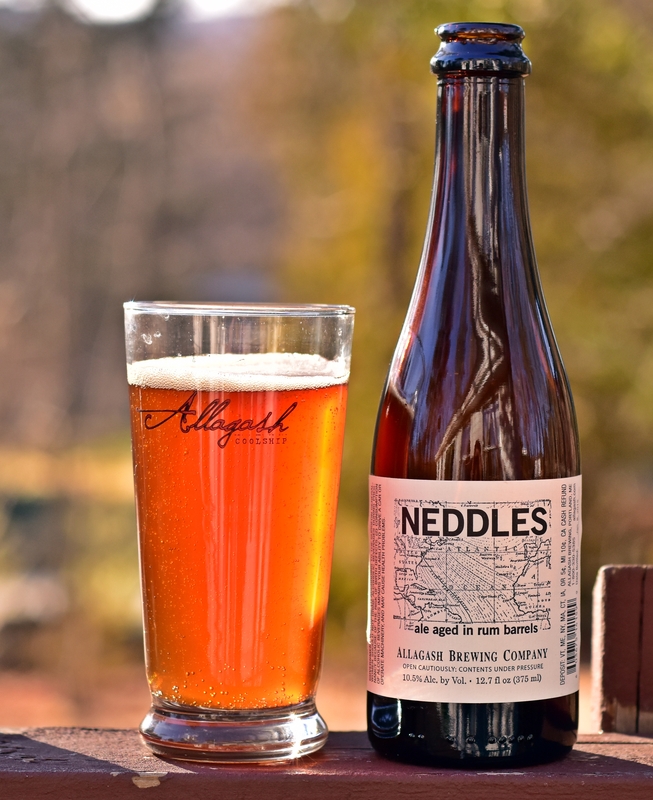 Cool story behind Neddles as Allagash’s first employee Ned left Allagash to start New England Distilling just around the corner from Allagash. 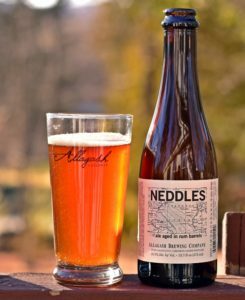 Allagash brewed a sour brown and aged it in rum barrels from New England Distilling and named it Neddles. The story alone adds to the character of this beer since Ned is a great guy doing great things but the beer also does not disappoint. Some dark fruit, a bit of funk and plenty of oak. Rum is muted but does work its way towards the front as the beer warms. Another dark beer aged in oak barrels however this one has lots of dates, raisin, molasses sweetness but none of the cocoa/coffee flavor that I generally dislike in my beer. It is a big beer at 10.4% ABV so there is a certain amount of booze but it is not off putting. Overall not my preferred style but the beer works and was enjoyable even with the high ABV. 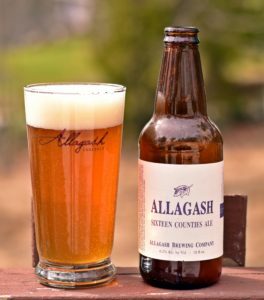 My favorite beer of the 30+ days and likely my favorite Allagash beer. A sour red with raspberries, cherries and strawberries brought the best of everything to this beer. Very tart to the point of almost making your eyes water. Lots of berry flavor but not in a candy kind of way just a pleasant funky sour berry. Really enjoyable beer here. 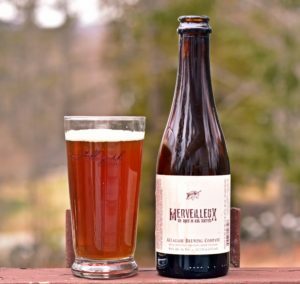 This is the original version of Sixteen Counties released in 4-packs of 12 ounce bottles. 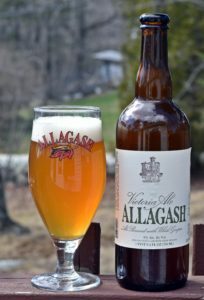 Allagash has since released a 750 ml cork and cage version which I believe is going to be a year round release for them. 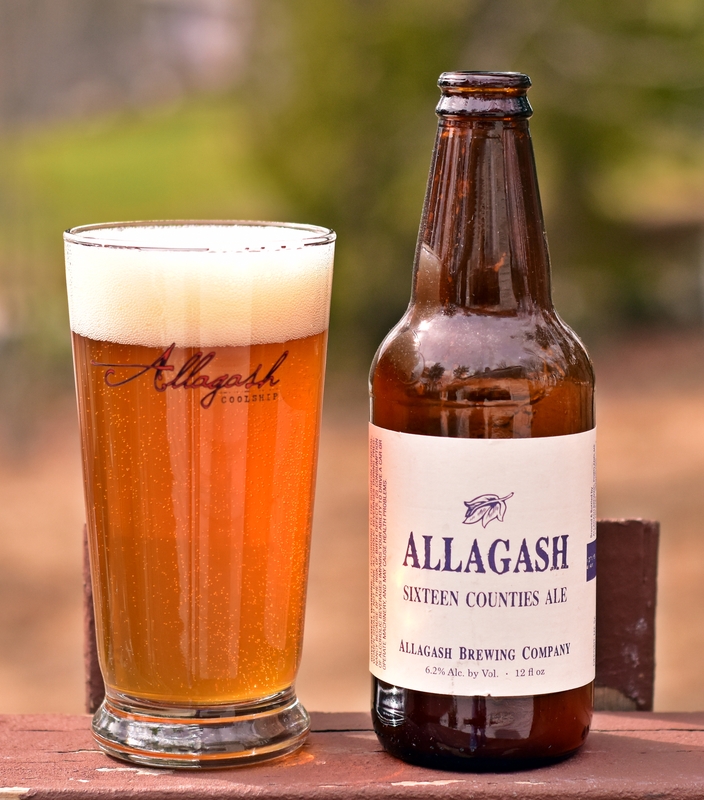 Sixteen Counties uses ingredients from all the counties in the State of Maine. This is a slightly hoppy Belgian pale ale with some nice spicy flavors from the Belgian yeast and a bit of grassy/earthy flavors from the hops. Such a crisp and clean beer. 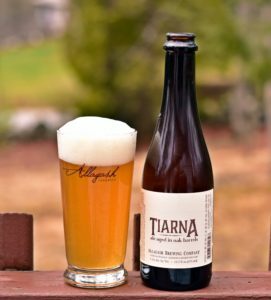 Another blend of two beers from Allagash. One is fermented with brett and the other with standard Belgian strains. 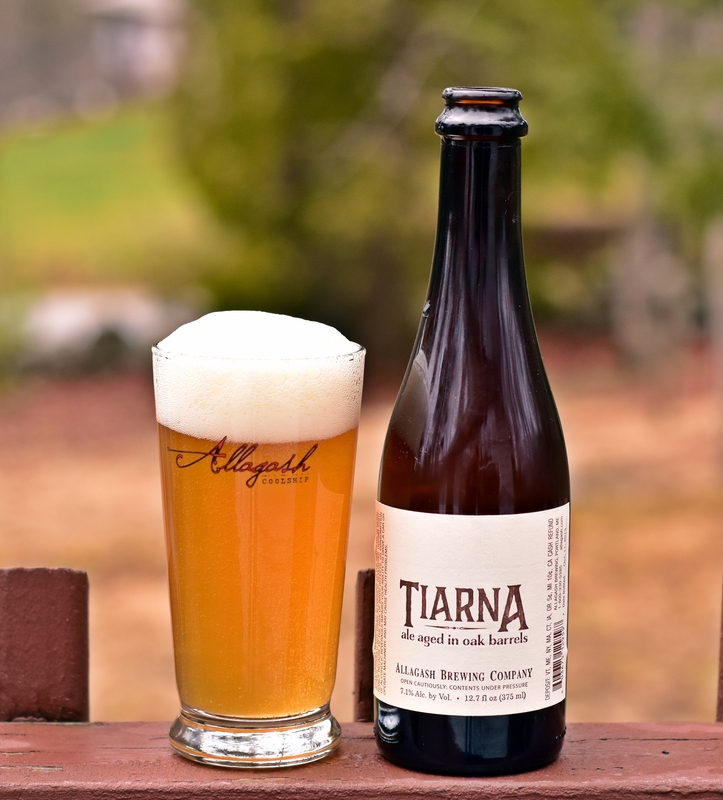 Tiarna ends up being a slightly tart beer with a nice mix of bready malt and some lemon. Carbonation was heavy and very active but it didn’t take away from the beer. Enjoyable beer but not quite as good as many of the others. 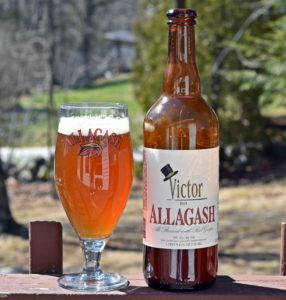 I had high hopes for Victor and Victoria (see below), red grapes used in the brew process and fermented with wine yeast seemed like something I would enjoy. The beer poured a deep orange with solid white head. Aroma is full of spicy yeast. The only word that comes to mind to describe the taste is musty which is probably not the best term but all I can think of when drinking it. Overall a well crafted beer but it did not compare well with many of the other excellent beers in this list. 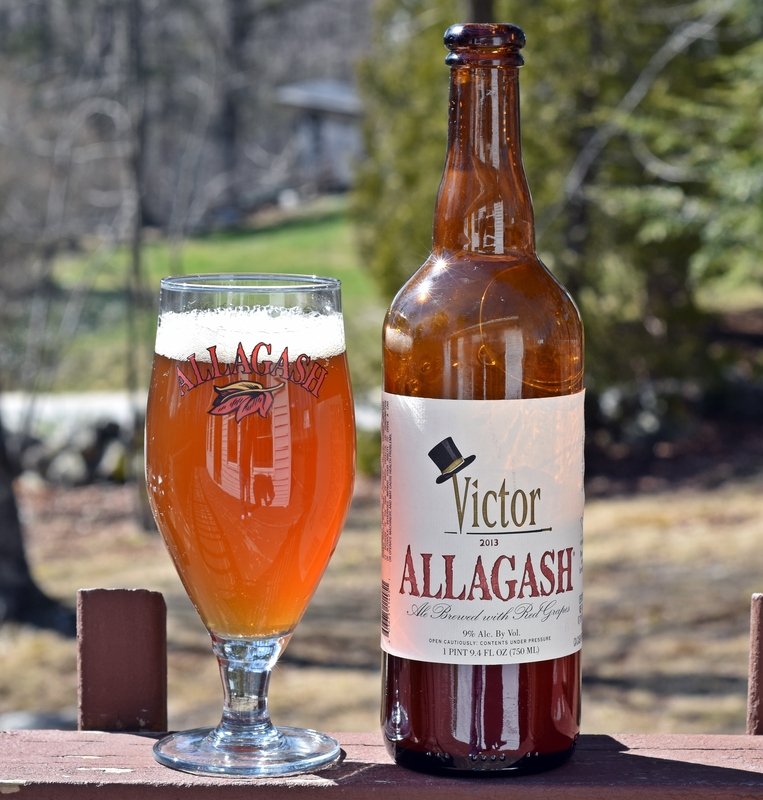 This beer is similar to Victor but uses Chardonnay grapes instead of red grapes. Again it seemed like a beer I would enjoy but the yeast was the dominant flavor with almost no funk or tartness. The 9% ABV is completly hidden both in the nose and the taste. Overall a nice beer that was slightly better than Victor but still not my thing. This is another really old bottle as the beer was brewed in 2010 and released in 2011. It was brewed at both Allagash’s facility in Portland and a different version was brewed at New Belgium Brewing of Colorado. 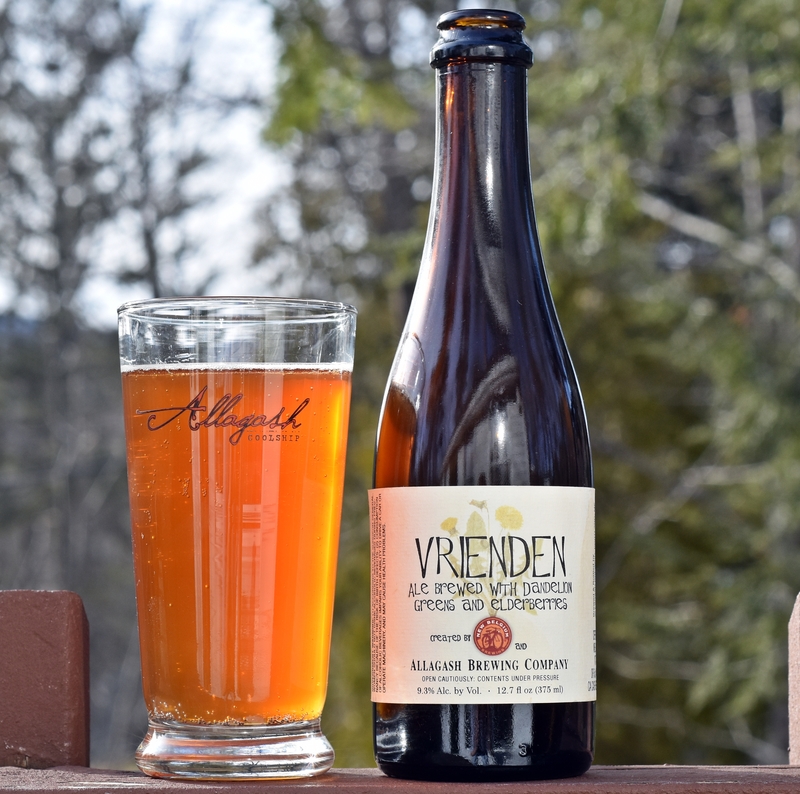 Vrienden, the Allagash version, was brewed with dandelion greens and elderberries. Not a lot of carbonation left in this one which muted the aromas a bit. Taste had turned a bit acidic but still had a nice herbal and mildly funky berry finish. Very interesting beer that has held up surprisingly well over the 5 years since it was bottled. Described as a hoppy blonde ale it is entirely different than most of the beers coming out of Allagash. Relatively simple especially when compared to the sour, barrel aged funk that many of the previous beers had but this one is very refreshing with a nice piney hop presence and simple malt backbone. Hoping this one comes around again as I enjoyed it. 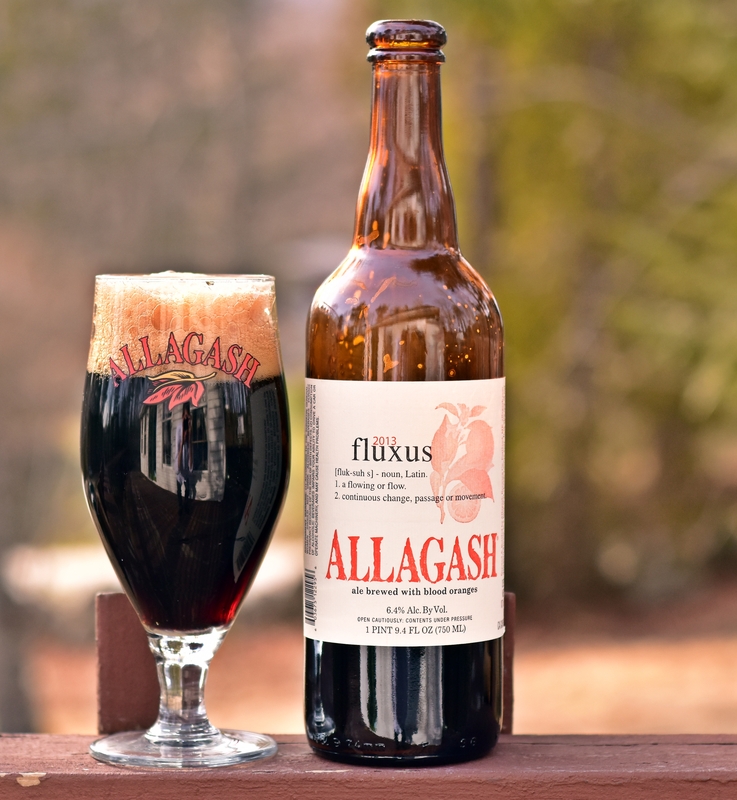 Overall my 30 days of drinking nothing but Allagash beer was a fun way to dig through my cellar and enjoy some great beers that I had been hoarding for too long. I really shouldn’t need an excuse to drink lots of great beer from an exceptional brewery but I might have to do this with a few other breweries to get through my deep cellar.